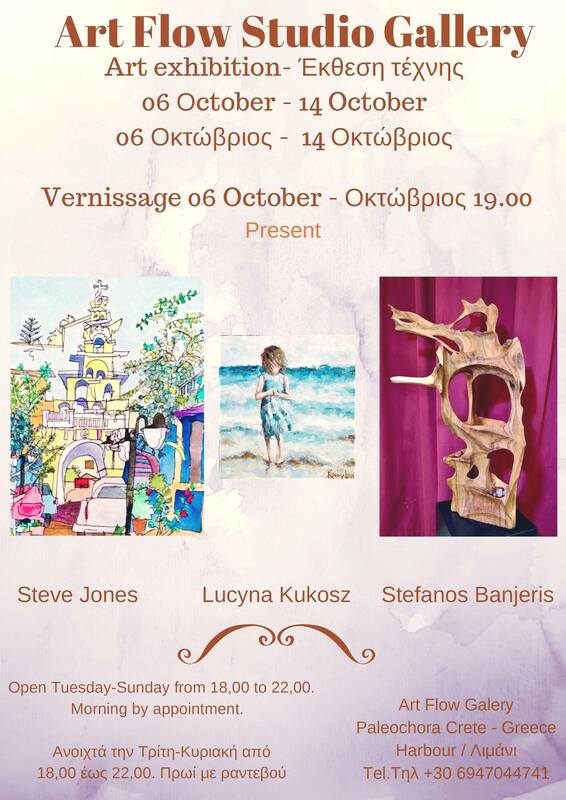 Art Exhibition with works by Steve Jones – Lucyna Kukosz – Stafanos Banjeris. One week to share emotions through painting and sculpture. WHEN: 6th -14th October , Tuesday to Sunday 18.00 -22.00.
από 06 Οκτώβριος έως 14 Οκτώβριος .